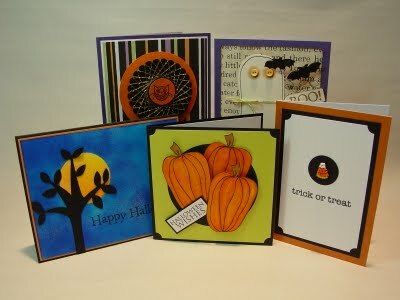 Halloween Greeting Cards: Seriously? What is the point? If you’re going to mail a child a greeting card to wish them a spooktacular Halloween, you should honestly have your grandparent status revoked. Think about it: what kid wants a non-edible piece of cardboard covered in glitter when they could have Reeses Cups instead? If you’re going to take the time to send a card, you can take the time to buy a padded envelope and send some candy instead. Personally, I think it’s a scam. Cancelling Halloween: Thanks to the arrival of Hurricane Sandy, several towns have cancelled Halloween. We’ve fared rather well in Philadelphia (we lost power for a brief second while watching Big Bang Theory but compared to trees falling on houses, I’d say we did alright) so I’m glad to report that Halloween has not been cancelled here, but others have not been so lucky. How exactly doesn’t one cancel Halloween anyway? Is it like cancelling school? A notice goes up on some official Halloween website and they announce it on the radio? What do you do with all of the candy? And if you decide to reschedule, do you do it the next day or a week later? Fun Size Candy: I’ve said it before and I’ll say it again. There is nothing FUN about fun size candy. It’s another Halloween scam. You think you’re going to have a fantastic time with your little miniature Butterfinger bar but really, you’re in for a rude awakening. No sooner has that miniscule piece of peanut buttery chocolate begun to melt in your month than it’s gone. Done. Finito. No more. So you tell me: what exactly is so fun about that? Candy Corn Duct Tape: I love duct tape, I really do. And I love the decorative rolls with penguins and skulls and tie dye patterns, but candy corn? Are their any real uses for candy corn duct tape beyond the obvious Halloween repairs? It’s not terribly versatile (you can’t very well go wrapping Christmas presents with candy corn duct tape, now can you?) and frankly, I think there are way better Halloween images to reproduce in adhesive form. Tootsie Rolls: I don’t understand why they’re even still making tootsie rolls. Tootsie rolls are the lowest life form on the Halloween planet. They’re brown (and unless we’re talking about chocolate, there is no reason for candy to be brown) and they’re virtually useless when it comes to bargaining. If you want to trade up for something better, you have to do so at a ratio of 50 Tootsie Rolls to 1 (and even then, it only works if you have a parent who is willing to negotiate in Tootsie Roll currency). Flavored Tootsie Rolls are okay (at least the cherry ones) and Tootsie Roll pops aren’t bad either but regular, original Tootsie Rolls? They should be outlawed. And on that note, it’s time to stop complaining and get moving on my Halloween costume. The Wedding Date and I are going to an Egyptian-themed dance party at the University of Pennsylvania Museum of Archaeology and Anthropology because we’re cool like that. We were going to go as gangsters but someone forgot his Zoot Suit (in his defense, he did drive over from New Jersey on Monday morning with half a dozen romantic comedies and several board games in his overnight bag). Then we were going to go as ancient Chinese dignitaries on a diplomatic mission to ancient Egypt but surprisingly, I don’t really have the necessary costume pieces to pull it off. We’re now going as Indiana and the chick from Indiana Jones (whose name is Marion Ravenwood in case you were wondering). I don’t have any of the necessary costume pieces for Marion either but the night is young… there’s plenty of time for a wardrobe crisis. How dare you attack the Tootsie Roll! They’re not my first choice but I like those little guys. Far superior to Dum Dums, Jolly Ranchers, and even Nerds (I said it). Wait, so you don’t have a khaki shirt and pants for your Marion costume but TWD managed to bring a leather jacket, whip, and fedora from Jersey while forgetting his zoot suit? What’s going on here? First of all, Nerds are WAY better. Secondly, Marion is much more complicated than simple pair of khaki pants… we’re talking paint, fuax embroidery and glitter! All valid points. I’m a little bummed about the hurricane because there was going to be a book fair in the lobby of my building but I don’t think it is going to happen now. I was really looking forward to that. As for ‘fun size’ candy…I personally don’t care much one way or the other, but Adam is picky about it. He prefers ‘bite size’. I still don’t know why. Really, when you get down to it, regular size candy bars are more environmentally friendly. You end up eating more of the little guys to make up for the amount of chocolate that you want to consume and therefore are producing more waste because of this. Aw, my grandma sends me Halloween cards. And Thanksgiving cards, and Christmas cards, and Valentine’s Day cards, and St. Patrick’s Day cards (yes, they make those). She sends them to my sister and all my cousins, too. The woman single-handedly keeps Hallmark in business. I’ve never minded, actually, even when I was little. She’s a sweet old lady who sends sweet holiday cards. I was in agreeance until the Tootsie roll comment. I like them! Now, if you want to tell me Whoppers are terrible candy, I’ll agree emphatically! No way, Whoopers are way better than Tootsie Rolls (although they’re both still pretty bad). Wait until you see our Halloween outfits, we rocked! Even during a storm at sea 🙂 Having a great time on the cruise, contrary to the whiners who are posting monumentally tall tales about the “horrors” of being on the Explorer…sheesh people…and we talked about tootsie’s on board too, 50/50 either you hate them or love them.